Pullman from 50, 52, 54, 56 and 64 seats with DVD players, services, audio, climate control, security system satellite, bilingual drivers, TV&satellite, ABS, ergonomic seats, coatings refined and attention to detail. 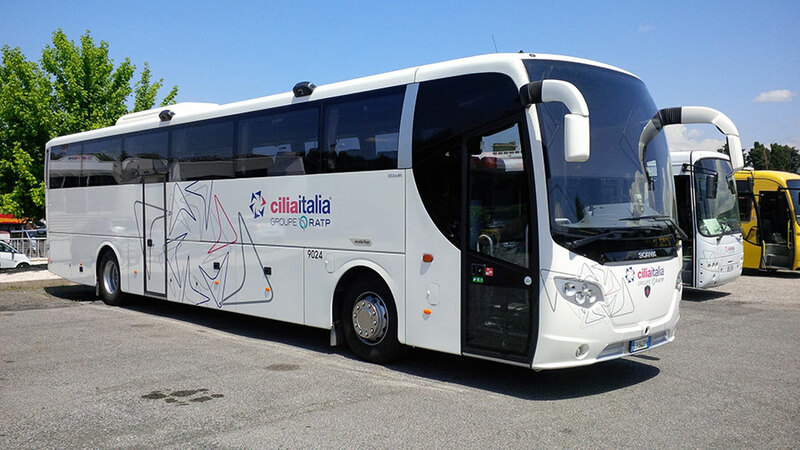 Our bilingual drivers, fully professional, familiar with the Italian and European tourist routes, which run for years in order to ensure a trip on time and safely. This experience is further guarantee the tranquility of travelers who acquire immediately familiarity and trust.